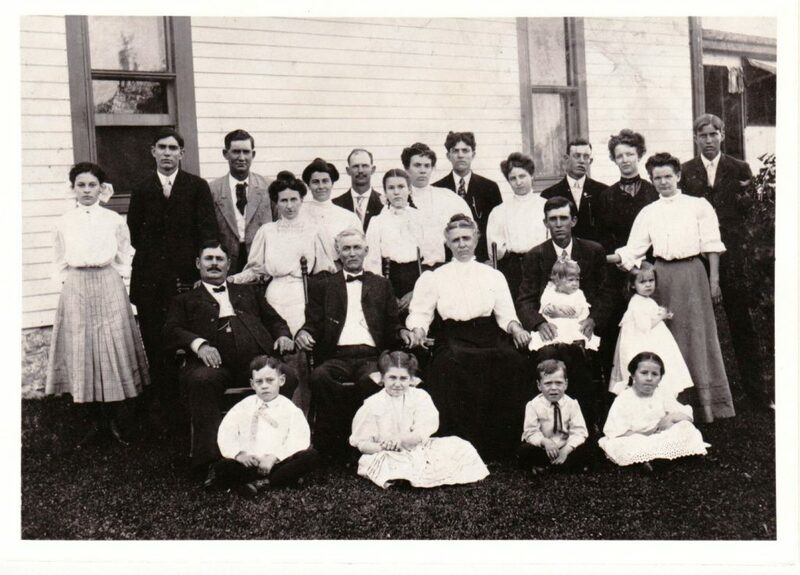 The John Record family in 1907. Now Barbara wasn’t just anybody to me. 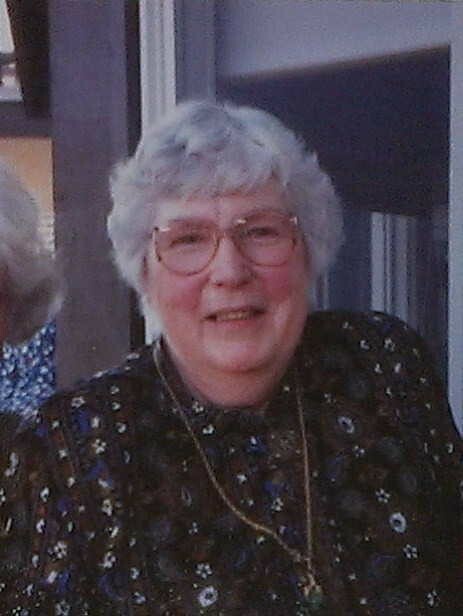 She was our “go-to” family historian from the 1960s well into the early 1990s. Cousin Barbara (my grandfather’s paternal first cousin) was the one to call when some question about the family’s facts or folklore arose. I can still hear my grandmother saying, “I don’t know the answer. You need to call Barbara…” To this day I still rely heavily on Barbara’s original and painstakingly completed research. 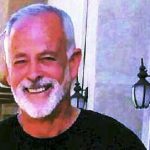 As I had been infected with a case of genealogical thirst at a very young age, I immediately made the two-hour drive to Barbara’s home in the coastal hills outside of San Francisco. As I drove there I felt so many emotions. I felt chagrinned at the devastation of Barbara’s disease, and yet selfishly hopeful, too – that there would be genealogical answers waiting for me in Barbara’s work. When I arrived, Barbara was making a mad dash through her papers and books placing things in stacks and boxes. I tried to get her to slow down a bit, or to take a breath, but it was as if she was on some ‘time is running out’ mission all of her own. I looked around her once tidy study to see that it was now in a state of organized chaos. A blank Commodore 64-ish computer screen stared at me, as if to ask why I had taken so long to get there? Barbara was winding down. She was passing the torch. I wonder if she realized that she was passing the torch to a first cousin twice removed – not the most obvious choice to keep the flame alive. I like to think that she did know, and that somehow she had recognized in me what she saw in herself, i.e., that genealogical yearning, that singular spark. It’s the same spark we who participate in Vita Brevis all share. It is also what we seek – someone to safeguard the legacy of our genealogical work. Unless we have made special arrangements, most of the time we don’t know who that will be. I was lucky that day. My cousin Barbara was choosing me. So I went home that day with Barbara’s boxes and papers. And soon enough I found the Cull family, a family that was associated with Barbara’s husband and not my own. I found an address buried in the papers and books in the box for a Mr. Cull. I wrote to him and explained Barbara’s wishes. Later that fall I was able to return those folders, notes, and books in that same box to Mr. Cull and his family. The Record family historian: Barbara Andruss Irwin (1922-2008). Grandpa’s pension would prove to be another story. With regard to my great-great-grandfather John Henry Record’s Civil War pension, Barbara was handing over to me eighty-plus years of correspondence, affidavits, and bills presented before Congress, etc. Cousin Barbara was definitely passing the torch on this one. I soon realized that all of this paperwork had come down to her through her mother and her grandmother before. What an exciting mess of a mystery it was all going to prove to be! I am reminded of what Jan Doerr posted in Vita Brevis about “What’s left behind” and how we are not defined by what we leave behind, but more so by what is kept. [iii] Who do we trust to keep these things? I am grateful to Barbara for choosing me. It was to be the last time I would see my cousin. All too soon the cousin who knew every little detail of our family’s history would no longer remember my name. I will not soon forget hers. [i] Barbara Andruss Irwin, daughter of Grace Record Andruss, sister to my great-grandfather Frank Record. [ii] The pension records of John Henry Record (1840–1915), my great-great-grandfather, with records beginning about 1890 and continuing through 1999, on file with the National Archives and Records Administration. [iii] Jan Doerr, “What’s left behind,” Vita Brevis, 13 March 2017. What a bittersweet event that must have been for you! Thank you for sharing this wonderful story. How bittersweet! Thank you for sharing. What an eerie story. That sounds alot like me. My cousin Patty knowingshe has alzihamers has been giving me my dad’s family history. Her mom was my aunt.It has helped answer some questions I had no where else to answer. She sent pictures. However I see a picture has an error in it but don’t know where to go to identify the sibling that has the wrong name. There are two brothers with the same name. My wish is that this would happen more often in the genealogy world. So often decades of “good old fashioned” research, ends up in a dumpster. Jeff, as my husband put it, some of us have a spark, some of us are on fire, and some of us are a 3-alarm blaze! I, however, am standing on my stacks of papers and boxes, applauding and saying Thank You. I too am the keeper of important “stuff” no one else wants to store and the only genealogical researcher in the bunch. As I approach 70 this is a very pertinent insight into making some preparations for the future of these invaluable things. I will pursue the MOther Lode Colony of Mayflower Descendants as I have ended up in that locale also. I am working to be sure several members of family know their ancestry- making notebooks with copies of family papers and photos that came down from my great grandparents. Taking time- hope to get it done. So glad Barbara recognized the need to pass on her research “while she still could”. And that you were able to fetch it. All the paperwork in that pension file must be fascinating! What a wonderful story! I am the one in my family of five girls working on the family genealogy. Three of us have done the DNA, and still hit brick walls. I will never give up the search and hope one of my three children will continue the hard work. It is a completion of where you come from, good or not so good, putting faces to names and connecting to other family when possible. Genealogy is richer than any history I have learned in school. It is a wonderful and satisfying hobby! A very touching story that made me teary with admiration. What an amazing person your cousin Barbara was. She knew. Knew what she needed to do, and went about it with all the gusto she could summon. It sounds as if even when she wasn’t sure WHY something was important, she knew it WAS important, and that she needed to get it to someone who could take care of it. She knew that someone was you. And you, bless you, honored her and honored her dedication by taking on the tasks she handed over to you. Annie – many thanks for your kind words. Thanks Jeff, I have started on my family’s history the last couple of years and little did I realize what a spark I had…Thanks for the articles. Yes, a wonderful story. Thanks. 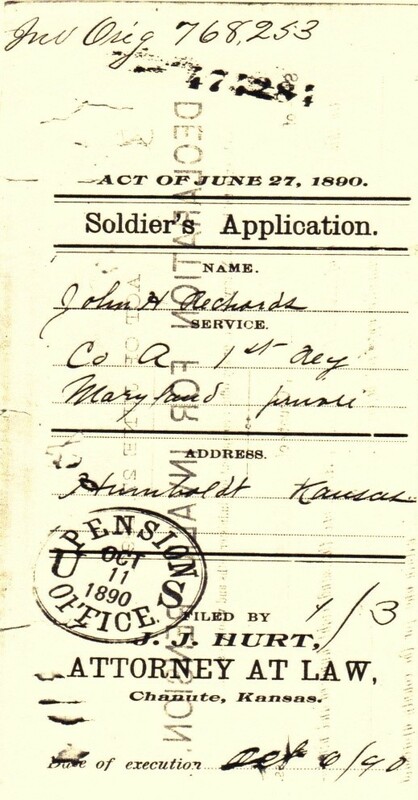 Your ending comment about Civil War pension correspondence is exactly what I am struggling with on my great-grandfather’s record & pension. It has taken me years of digging in Federal records to find the answer (unauthorized prisoner parole).